I have been thinking about mass producing Christmas cards this year. I need quite a few of them including for the colleagues of my hubby and friends of my children. But I didn’t want them all in the same design. After much thought I decided to make five designs of Christmas card. Each design will be mass produced either a set of 10 or 20 card. I will share with you each design here over this month period. If I need more, I will do more designs and share. Here is the first design I chose and mass produced a set of 10 cards. I have five variations on the same design. I made two of each to make a set of 10. 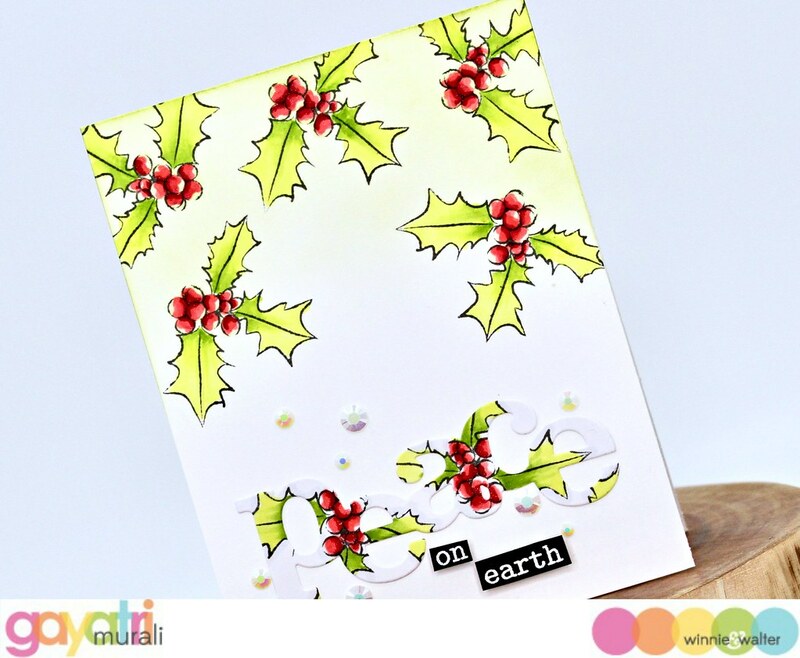 I made this card for Winnie & Walter’s World Card Making Day Challenge you had already seen this design. So all products used to make this card are from Winnie & Walter. I will share the full photo and closeup of each variation of Design #1. So this post is photo heavy. This is a nearly one layer card. The only dimensional element is the jewel embellishments. 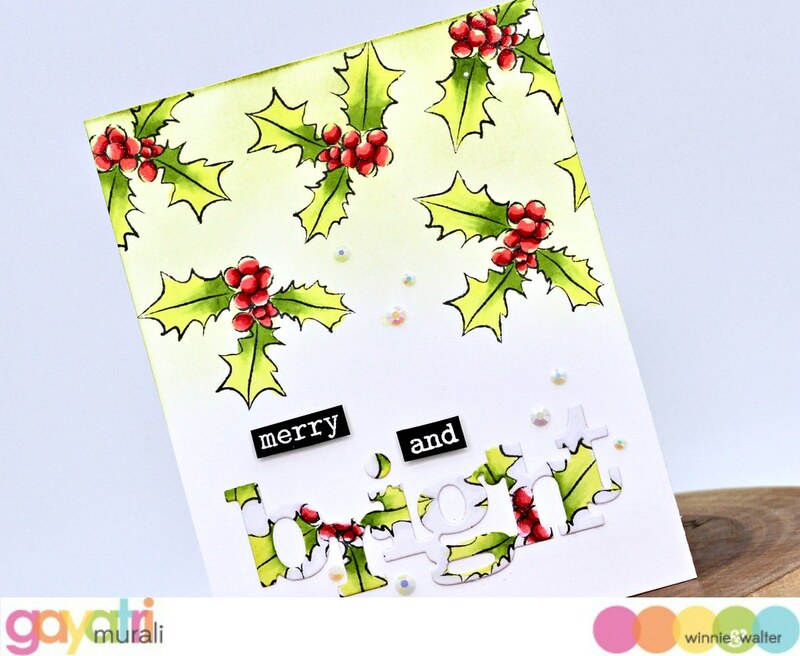 I used In Bloom: Elsa’s Flora stamp set from Winnie & Walter along with In a Word: Merry, Joy, Peace, Noel and Bright cutaways. I stamped the image from Elsa’s Flora on the card front as well as on the die cuts. Coloured the images using copic markers and brushed with clear shimmer pen. On the top of the card front I sponged Peeled Paint distress ink very lightly in ombre fashion. 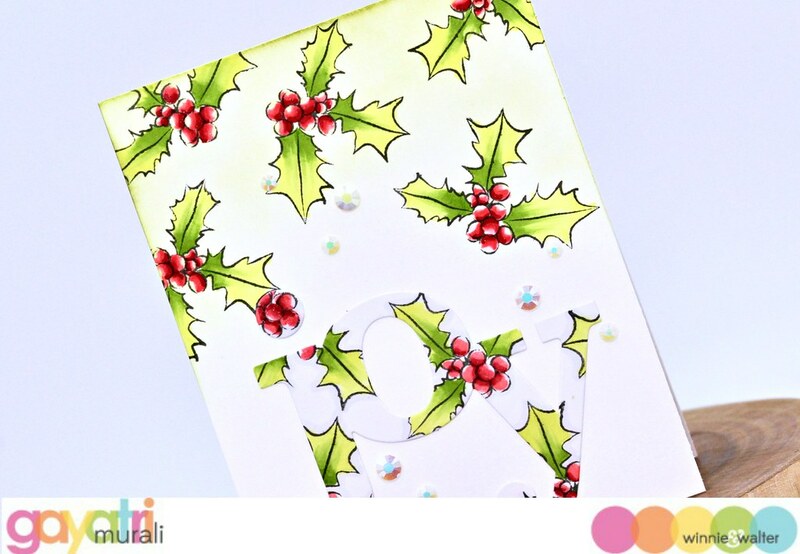 All the die cuts were adhered on the bottom of the card front and embellished with jewels. On some of the cards, I added white heat embossed secondary sentiment from The Big, the Bold and Merry stamp set. There are many more images on Elsa’s Flora stamp set to make several sets of cards if you are interested in this design. I certainly plan to use them if I need more Christmas cards later. All the supplies used to make this card are listed below. Hope you like my first design. Cannot wait to share the next one. Thank you very much for visiting my blog today. Wonderfully festive , traditional colours but really modern & funky, awesome. Will have to get this stamp set & the merry die, I have a wonderfully kind, caring friend who is named Holly Merry, she would be super ideal for this set & would love the fun link. Thank you for inspiring me. 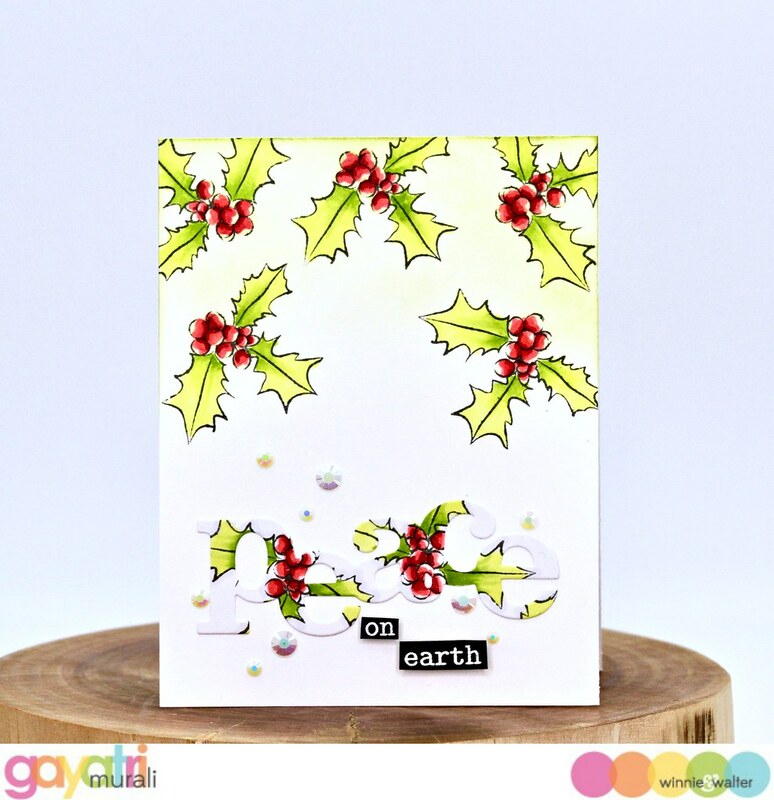 Fabulous cards and perfect for Christmas!